Should we move to Facebook Comments? 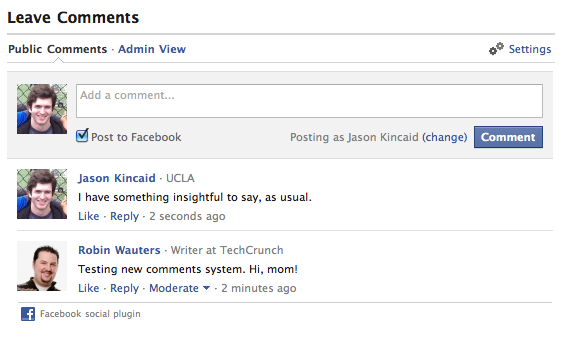 With the advent of Facebook Comments I reckon we’ll see a lot of sites switching over. Especially since Techcrunch just did, and posted a very interesting reflection on the pros and cons of it. But this new system looks pretty tempting… especially (cue evil cackle) how commenting on an article is reflected in your Facebook profile, thus dramatically increasing the exposure of the article you’ve just commented on. Would be interested in ya thoughts!